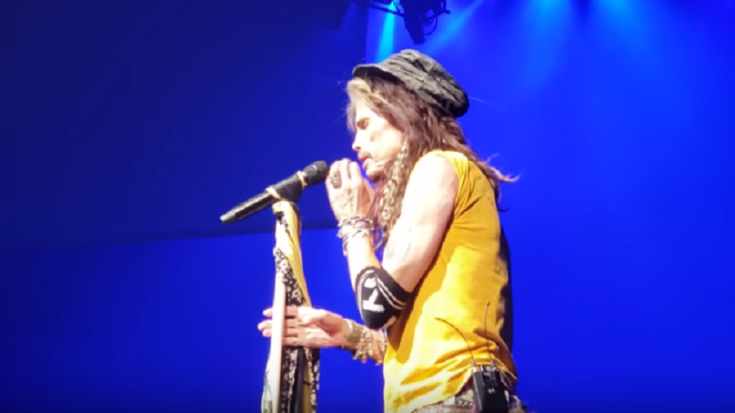 One of the things that make Steven Tyler a great frontman and showman is the fact that he always makes sure every single member of the crowd gets to have a grand time. And of course, during Aerosmith’s “Deuces are Wild” show in Las Vegas, he wanted everyone to have fun. Apparently, some people at the front sat down disgustingly during their performance so not surprisingly, Steven Tyler called them out. Not everyone can afford to be that close to these rock legends. So if you’re lucky enough to be there, then don’t be a party pooper at least. It’s Steven freaking Tyler!